Chairman PTA Dr Syed Ismail Shah, CEO of Nayatel Wahaj ul Siraj, regional director Asia Pacific Internet Society Rajnesh Singh, ICT Consultant Pervaiz Iftikhar, Member Ministry of IT Amir Malik, Google Pakistan consulant Badar Khushnood, DGH Legal PTA Ali Asghar, Corporat Head Telenor Aslam Hayat, Internet Policy Analyst Fouad Bajwa along with representatives from Internet Industry, government institutes, academic institutes, technical community, ITES (IT Enabled Services) Companies, civil society organizations and technology media deliberated during the one day symposium. During the plenary and panel discussion speakers were of the view that Internet can become a tool for progress and prosperity especially for 60 per cent of rural population across Pakistan. They urged the government to seriously consider Internet as a driver of change and not just a wastage of time. Many of the speakers agreed that the governments who used Internet as an engine of growth have seen a rise in GDP anywhere between 0.1 to 1 per cent. Consensus remained that Internet is just a tool and not a mean and it is the usage of this tool which can create enabling environment for all segments of society for which government has to develop an all inclusive national ICT policy. Wahaj ul Siraj was of the view that generally freedom of Internet usage has been remarkable and it gives the government, private sector and even NGOs to develop it into an engine of growth for larger populations. Internet can be used to educate parents, children, youth, women and of course men about their rights and responsibilities. Aslam Hayat from Telenor while commending 3 and 4 G initiatives hoped that government would refrain from imposing GST on Internet in the comingbudget. He argued that Internet and mobile users are already subjected to 39 per cent taxes and any new tax on them would hamper its usage hence the progress of the country. Fouad Bajwa pleaded to the government to ensure the privacy of the Internet users by making the regulatory authority like PTA more responsible, transparent and in charge of the Internet and mobile traffic. Chairman PTA Dr Ismail Shah said that Internet governance is a hot topic. He said that it is an effective tool for governance, jobs, education, health care, women empowerment, and youth engagement. He said that Internet users are growing rapidly and currently there are almost 3.5 million active users across Pakistan. He hoped that multi stakeholder dialogue will give some tangible suggestions to PTA and government for using Internet for improved governance. Amir Malik said that Pakistan has the potential of increasing its GDP by 0.1 per cent by employing Internet as a tool for communicating with the communities, private sector and its various constituents. It can help kick start a new wave of growth simply by having information hence knowledge about their immediate surroundings, government efforts and private sector. Renowned linguist Dr Sarmad Hussain pleaded that Internet can be a means to preserve and promote not only six of the main languages spoken by 95 per cent of population by even 60 plus languages spoken across the country by just five per cent of population. Rajnesh Singh appreciated the heightened awareness of Internet usage for governance in Pakistan and hoped that He said that this new era of digital age or information-based societies is bringing a fundamental transformation in relationships within societies. He hoped that regional and cross border cooperation will continue to grow as traditional geographic boundaries become largely symbolic in the face of the Internet and technologies, applications and services. Internet governance subjects such as management of critical resources, Security and Privacy, Access and Diversity, Piracy and Innovation, Content Regulation, Network Neutrality and Internet for Development have provided the need for a new working agenda for developing and developed nations. This multi-stakeholder collaboration has helped in achieving what is truly possible with the empowering nature of the Internet. This multi-stakeholder dialogue has helped Pakistan chapter of Internet Society to focus on the Internet and its future – and this is being pursued globally, regionally and locally. 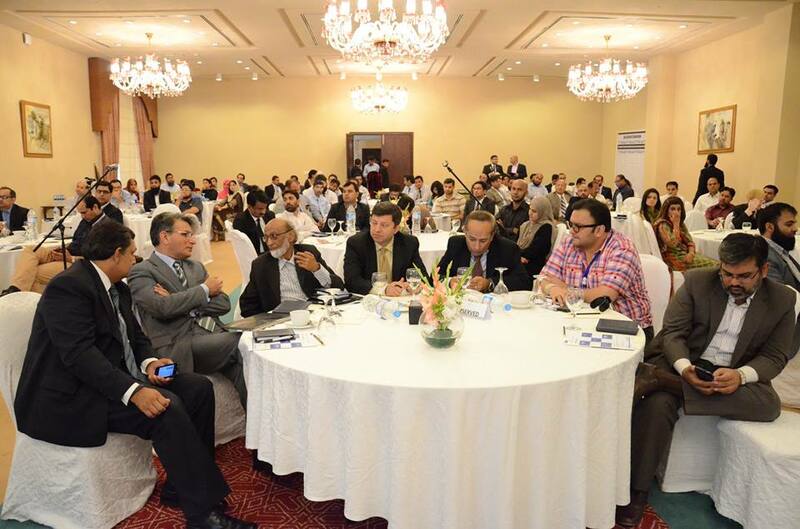 The Internet Society’s Asia Internet Symposium Islamabad has provided an opportunity for focused discussions on topical and current Internet Governance topics and building a strong future for the Internet in the country. With a recent rise in Broadband Internet penetration and improving digital literacy ratio in Pakistan, the Internet is regarded as the right tool for innovation, social empowerment, economic development and future progress of the community at large. – Government has to take a lead in making Internet more accessible, affordable and secure by collaborating with global, regional and national Internet Governance Forums to learn from best practices and experiences of others. Use of the Internet and all that it enables for social and economic empowerment is much needed in Pakistan. – Government should initiate a multi stakeholders consultative process to assess both the supply and demand side of Internet usage besides looking at the access, freedoms and privacy issues. Any ICT national policy should identify challenges and opportunities for collaboration among the Stakeholders to ensure the continued evolution and growth of the Internet.